Kabri Products manufactures and distributes quality materials for the recreational vehicle industry. 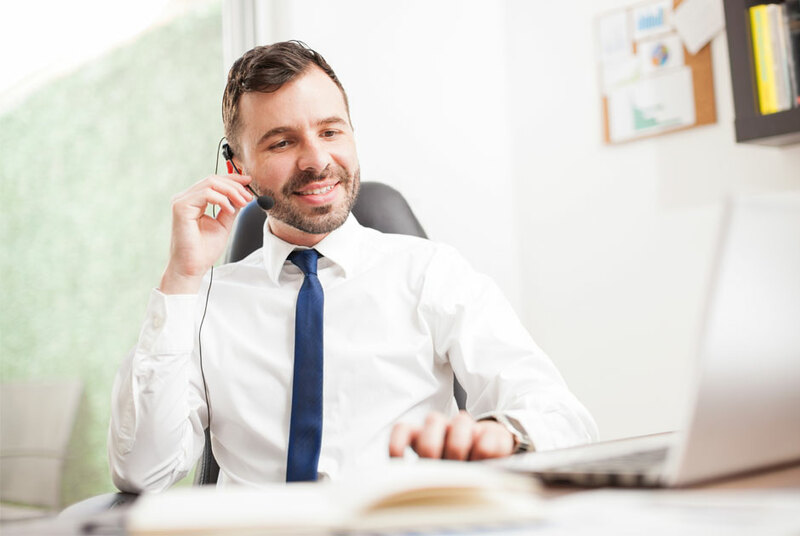 We are committed to personalized service that connects each manufacturer with the products that best meet their needs. We prioritize craftsmanship and won’t sell what we can’t stand behind. 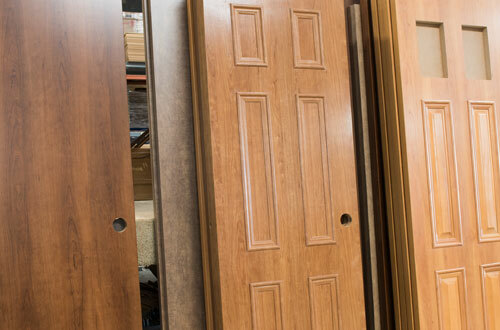 We supply an array of doors and drawer fronts with one thing in common: superior craftsmanship. 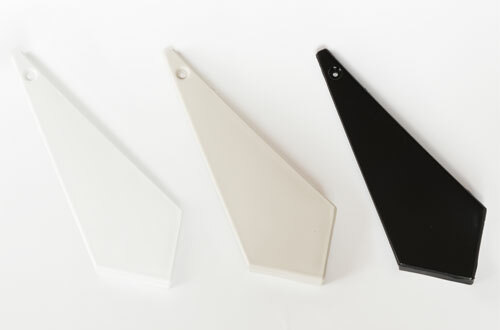 Custom finishes, materials, and sizes are our specialty. 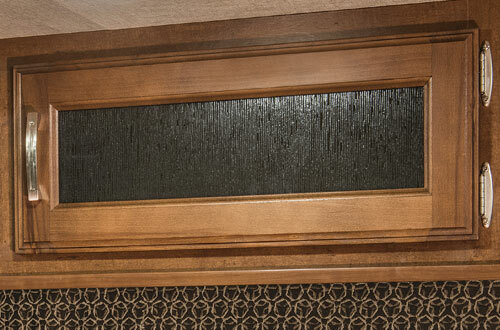 Collaborating with Lake Area Designs, we provide custom hardwood trim, molding, table tops, window kits and more. Twin-Star, a leader in electric fireplace technology, offers contemporary and classic looks. 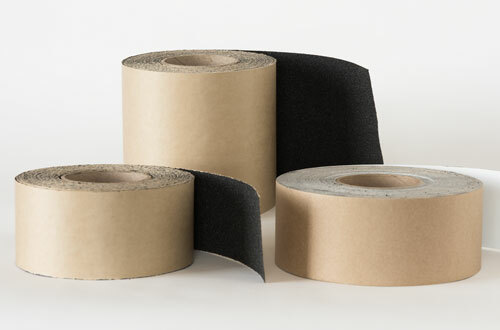 We sell only high-performance products that are durable and weatherproof. Molded and extruded plastics are customized for various recreational vehicle needs. Whether hidden or visible, the right hardware—from rollers and guides to door and drawer pulls—shows attention to detail. 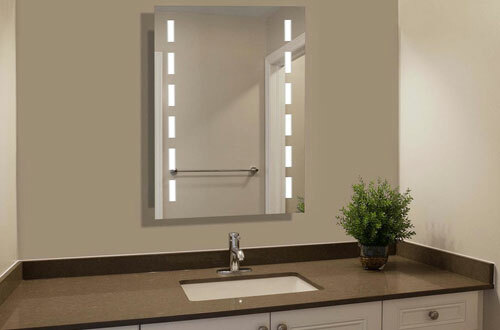 Whether its standard mirror, decorative glass or backlit applications, we have the look you’re trying to achieve. Surrounds are sourced from American Bath Group, a premier manufacturer of bath products. We are constantly looking ahead to spot color and finish trends, and we work directly with customers to design attractive, consistent looks. As a leader in quality wood products, we work closely with our finish professionals to ensure excellence in appearance and durability. Furthermore, we facilitate collaboration among the many companies we represent so we can offer a diverse line of products that are consistent in color and design. We unify multiple operations to speak in one voice. Kabri Products began by representing just one company, and that company is still with us today even though we’ve grown and diversified. This long-term partnership is a testament to our fairness, efficiency, and sound business sense. If you have a quality product that fits our profile, let us connect you to the industry in our region. 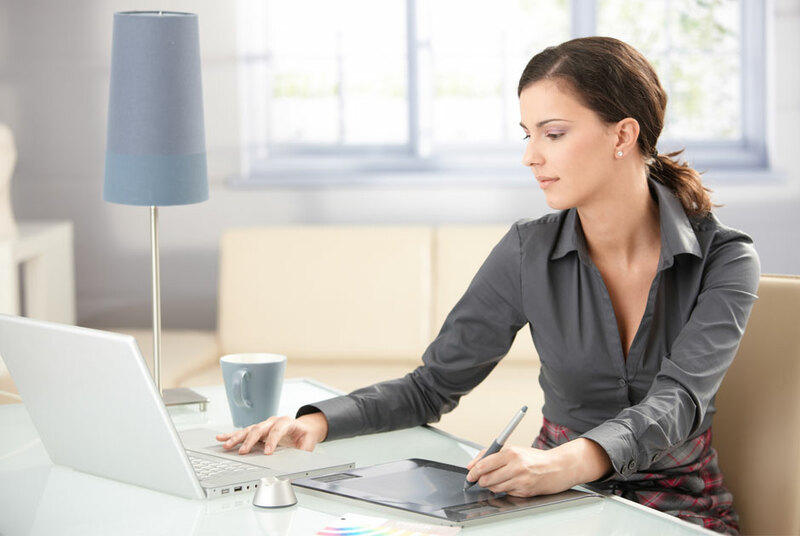 We’ll learn to know the details of your products so we can represent them in their best light. Our warehouses are conveniently located in close proximity to many of the country’s major RV manufacturers, and we’ve built a great network with these regional partners. We can house and distribute component parts for you so that your time and attention can go toward what you do best—manufacturing and innovation. Talk with us about how we can be the “hub” that gets your products where they need to go. 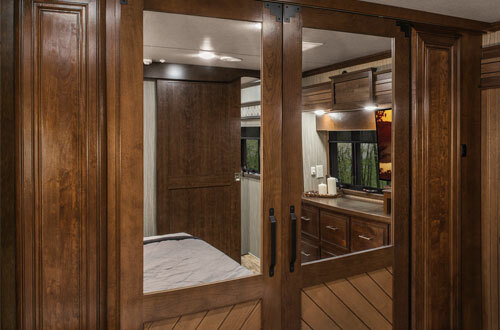 Four Woods Laminating has been a premier cabinet door supplier for the recreational vehicle industry for over 30 years. 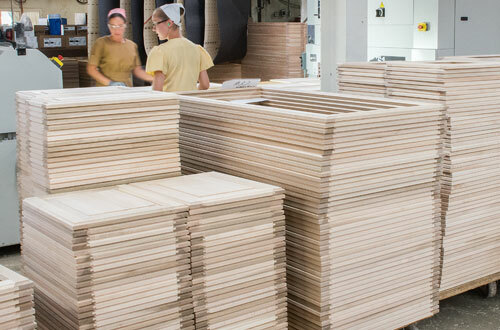 Check out the behind-the-scenes process that leads to a top-quality product. 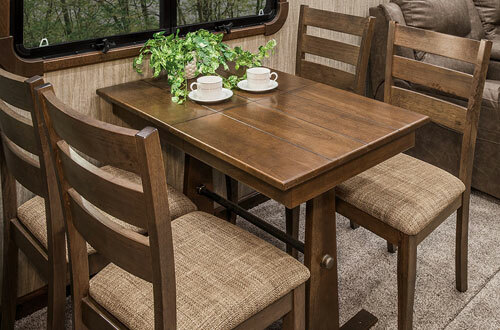 Lake Area Designs manufactures custom wood products for RV, residential, and commercial industries. 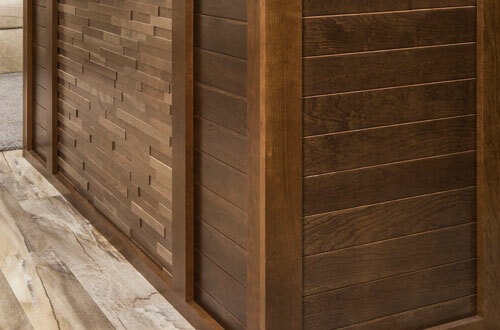 We partner with Lake Area to provide superior custom wood designs. Custom Steel Designs was launched in 2003 as a supplier of fine decorative architectural iron and aluminum. We now also produce RV parts, golf cart parts, and furniture frames in production runs. We distribute a large selection of fiberglass showers and surrounds, sourced from American Bath Group. 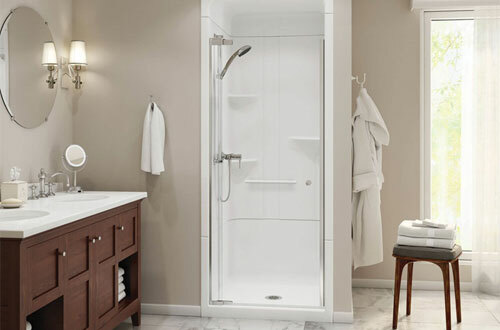 Their nationwide network of manufacturing facilities, including multiple regional locations, allows us to efficiently meet customers’ needs for pre-made or customized fiberglass showers. Riegsecker Cabinet Co. specializes in building custom cabinetry. Add a level of detail and craftsmanship you won’t get from the cookie-cutter factories and allow your dream to take on another level of sophistication!